The world-renowned Edinburgh Festival and Fringe is one of the most important arts festivals in the world. This year (2015) it will run from the 7th to the 31st of August and brings together some of the finest comedy and art performers that the world has to offer. As a native Glaswegian it has always been something that us weegies looked upon with great envy. The famous visitors, the blanket media coverage and the easy availability of high art (and low art) meant that us Glaswegians always felt like the uncool cousin who has come to visit. While the east coasters always seemed to be enjoying the latest shows or comedians the uncouth weegies steadfastly refused to get on that train at Queen Street and come and hang with their trendy New Town equivalents. The Edinburgh Festival was never something I attended when I lived in Glasgow. When I finally relocated to Edinburgh I am glad to say that the festival was something of a revelation. Many a brilliant night was had going to see some top comedians or original innovative shows. The book festival attracts some big names and irrespective of the fringe the actual festival itself has some incredibly well produced theatre and art. I was fortunate to see Alan Cummings superb portrayal of Dionysus in a very well staged version of The Bacchae and I can honestly say it takes some doing to get a Glaswegian to go and see a greek tragedy. Quite possibly because it is all a bit too close to home. There is something quite special about sitting out on a warm night, plastic beer cup in hand, at somewhere like Teviot or the Pleasance. The chance to interact with all the many different people and cultures that attend the festival while also eating a chocolate coated crepe is an experience I will treasure. If you live in Scotland and have never done the festival properly then you are sorely missing out. Those first couple of years doing the festival were ace. Then a strange thing happened. We stopped going. I don’t know whether we were very busy, or the circle of friends we usually went with were doing other things. Perhaps I just got tired of the continual hangovers. I certainly remember hearing a few very similar jokes from the comedians. Either way we all just stopped going. That initial attraction of something new and original quickly became all too familiar. Then something else happened which genuinely surprised me. I learned, like many of the other residents of Edinburgh, to hate the festival. The thing to remember is that while Edinburgh is blessed with a world-class arts festival it does have an impact on the city. The huge influx of visitors swells the amount of traffic that is already crammed in to the mostly medieval streets. Buses start to be delayed because of the sheer number of extra passengers as well as the inevitable lost tourist who occupies the driver with the most obvious of questions. There is a running joke in Edinburgh that during the festival it is impossible to walk down Princes Street without bumping in to all the tourists who stop suddenly to take a picture of the castle. Something that always surprises the local residents of Edinburgh is the almost suicidal death wish of most tourists. 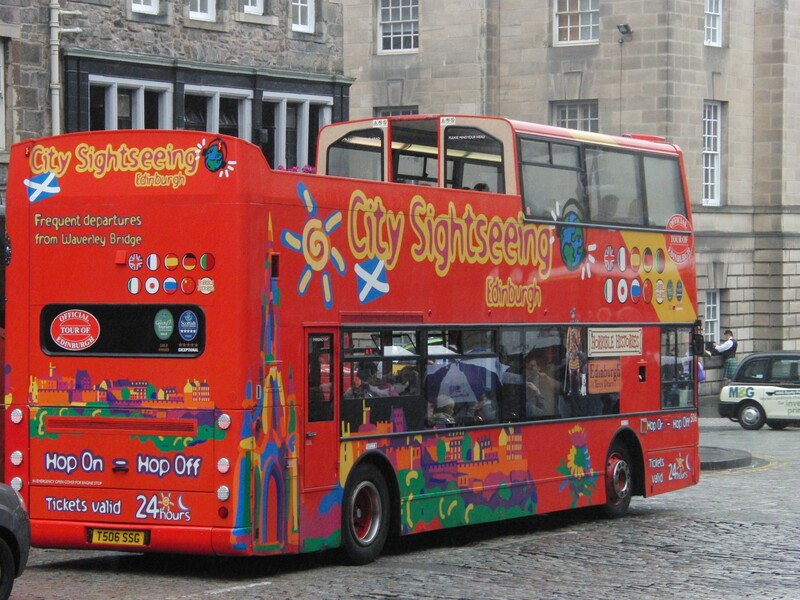 We locals think that the tourists believe that the cars and vehicles in Edinburgh are made of rubber and will just bounce off any pedestrian. Like anywhere in the world it is generally a good idea to see if there is a vehicle coming before you cross the road. I make light of this but there are regular fatalities each year on the roads so it is worth remembering that just because the thoroughfare is made of cobbles does not mean that it doesn’t have traffic. Now I do not wish to suggest that the local residents of Edinburgh are in any way hostile to tourists during the festival. They are not. It is merely the case that Edinburgh is a fully functioning city in its own right and a major international financial centre to boot. Most of the local people earn their living the same as anywhere, in offices, factories and businesses. Whether some famous comedian or band is playing that night is irrelevant to those of us who simply want to get home from work. Everyone is quite aware that the festival brings in huge amounts of revenue to the city and the media attention genuinely makes the local burghers feel proud of their home. They feel honoured that the arts world enjoys descending on this great old city once a year, even if it does bring a certain amount of disruption and chaos. So please don’t feel put off in any way from visiting this great city. The atmosphere and events during the festival are fantastic and it really is a great and sociable way to gain access to both liberal entertainment and quality art. It may be the case that if you are a tourist and can fake a good Scottish accent then try having a chat with your local taxi driver. You might end up getting a very honestly different opinion of the festival from him, assuming that you can understand a single word that he says.